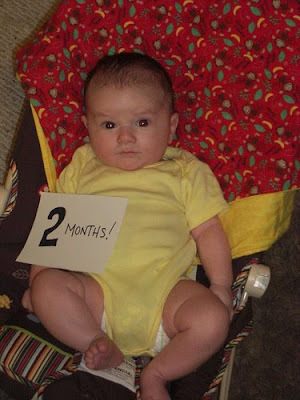 Fletch had his two month appointment yesterday. He is still growing like a weed. 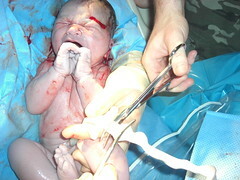 He weighed in at 12 pounds 4 ounces and he is now 23 3/4 inches long. Fletch is long and lean. His percentiles are getting higher and higher (not that those are really even that important). Unfortunately along with the two month appointment came his first round of vaccinations. The first shot only irritated him slightly, but the second shot got his little face beet red and the howling began. It didn't last long once I picked him up. No more poking until his four month appointment, but we also get to talk about starting solid foods at that appointment...EXCITING!